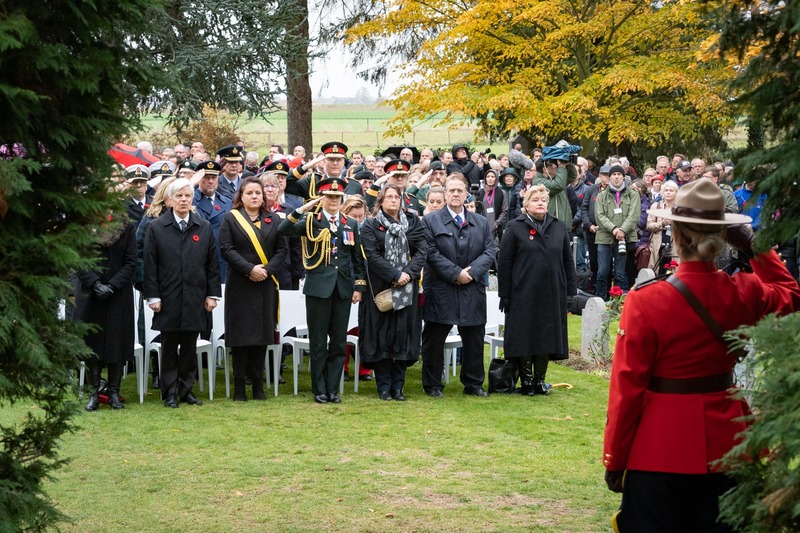 The Governor General and Commander-in-Chief of Canada will commemorate Remembrance Day and the 100th anniversary of the Armistice of the First World War at events in both Canada and Belgium. 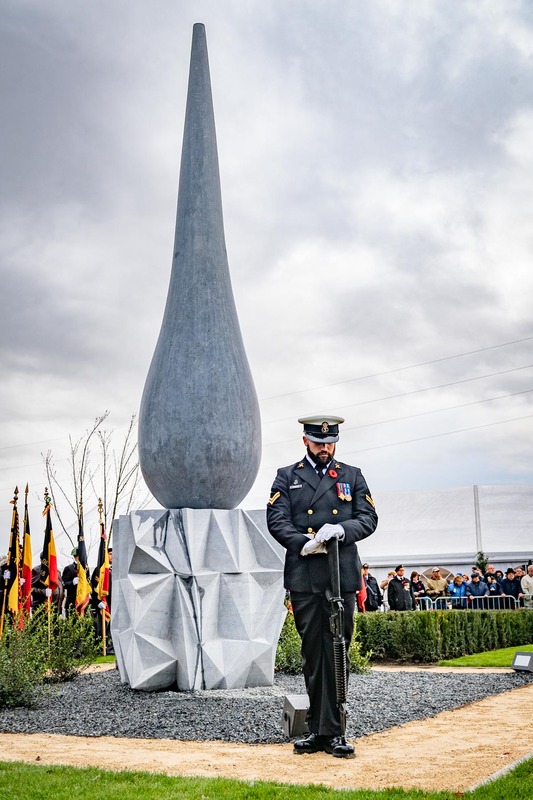 The Governor General attended ceremonies in Mons and Le Roeulx, Belgium, to pay homage to our country’s efforts in the liberation of Europe during the Great War. Throughout the events in Belgium, Her Excellency is joining a delegation of 50 veterans, young Canadians and the 2017 National Silver Cross Mother, Ms. Diana Abel. 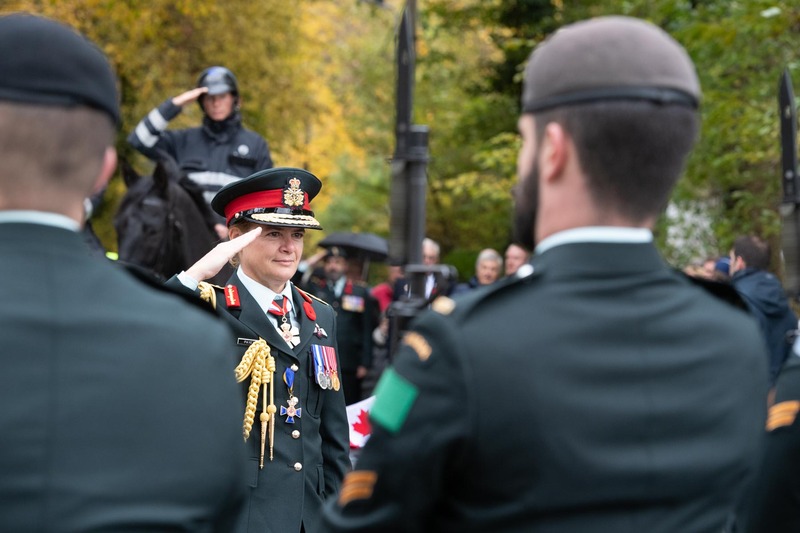 On November 10, 2018, the Governor General and Commander-in-Chief of Canada, commemorated the 100th anniversary of the Armistice of the First World War at events in Belgium. 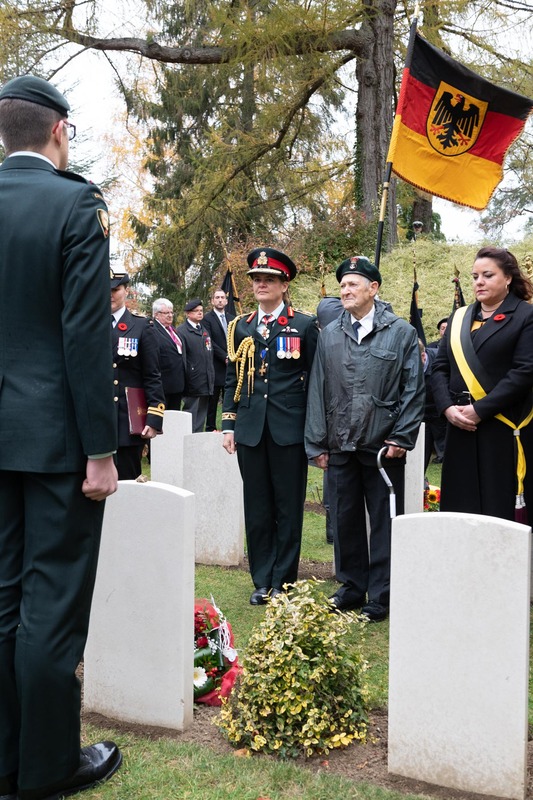 Throughout the events in Belgium, Her Excellency accompanied a delegation of 50 veterans, young Canadians and the 2017 National Silver Cross Mother, Ms. Diana Abel. In the morning, she participated in a remembrance ceremony at St. Symphorien Military Cemetery, the final resting place of Private George Lawrence Price, of the Canadian Infantry (Saskatchewan Regiment), who is believed to be the last Canadian soldier to die in battle two minutes before the Armistice was signed on November 11, 1918. Established by the German Army during the First World War, the cemetery is the final resting place for Commonwealth and German soldiers killed at the Battle of Mons. Among the buried is Private Price. The Governor General accompanied Private Price’s nephew, Mr. George Barkhouse. 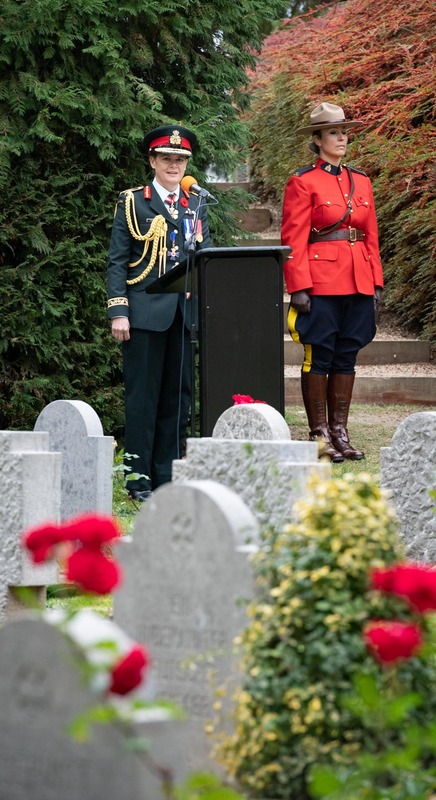 During her visit to St. Symphorien Military Cemetery, the Governor General delivered a speech on the importance of remembering those who paid the ultimate sacrifice in the name of freedom. The Governor General along with other dignitaries, attended the inauguration of a monument in honour of Private Price. The monument is located in Ville-sur-Haine, in the Municipality of Le Roeulx, where he fell on November 11, 1918. 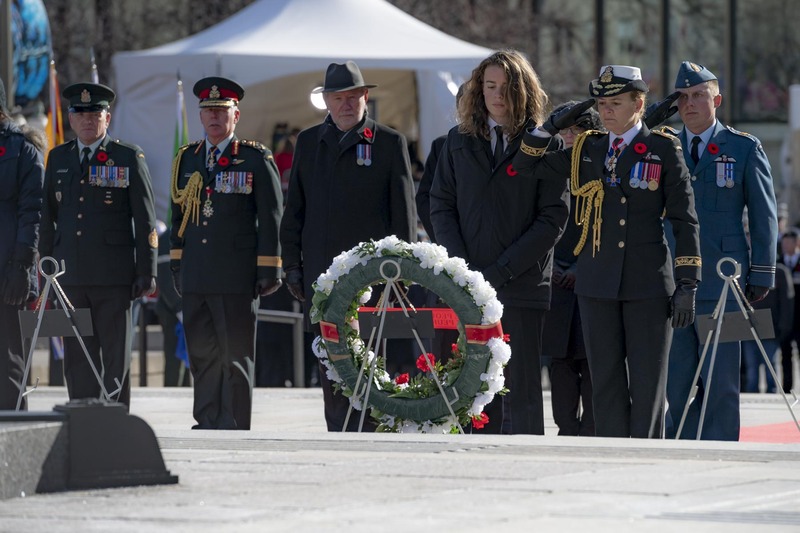 In the name of all Canadians, the Governor General lay a wreath on the monument. 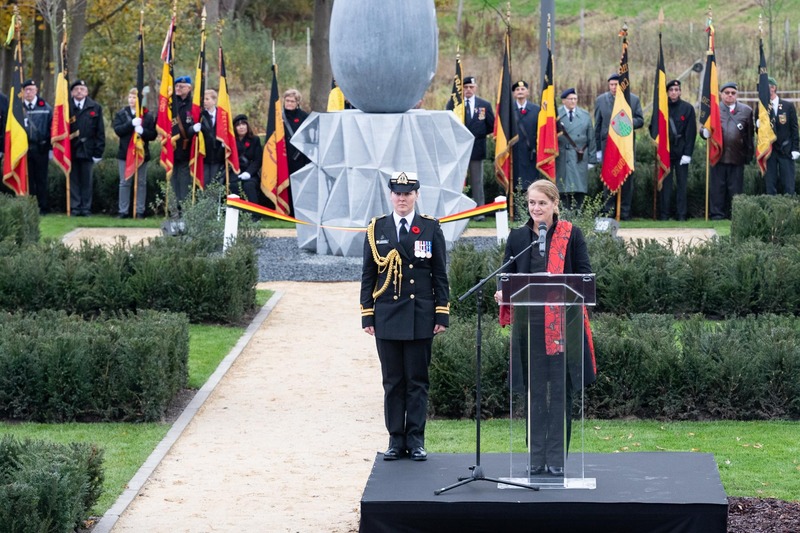 On the occasion of the inauguration, Her Excellency provided remarks on the important history that links Canada to Belgium. 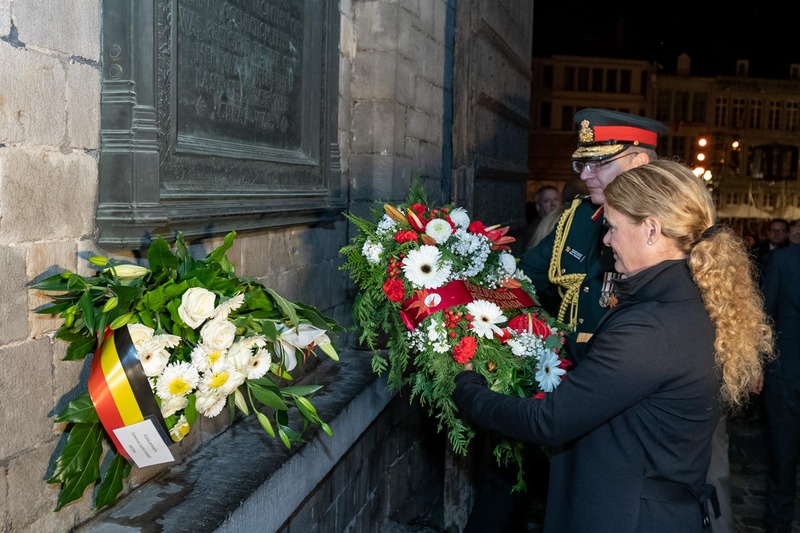 Later in the afternoon, the Governor General laid flowers at Mons City Hall, at the foot of a plaque presented to Mons by the Canadian Government in 1927, in recognition of the Canadian troops’ extraordinary accomplishment in liberating the city on November 11. 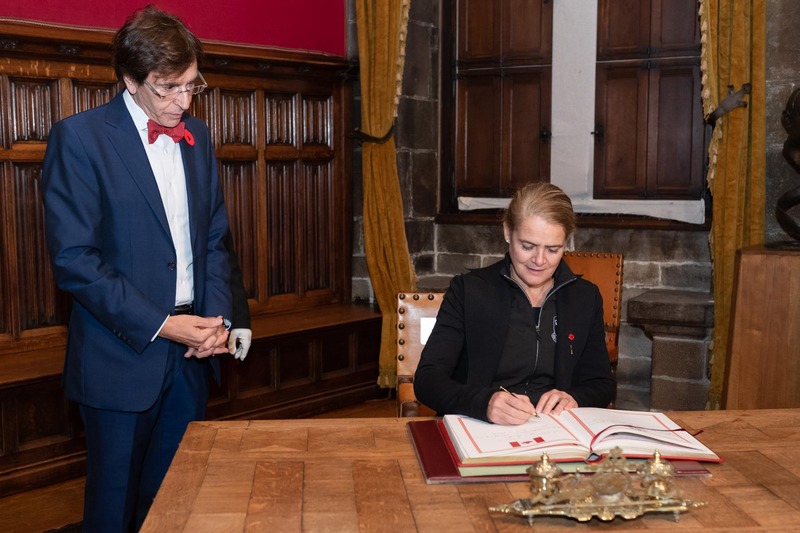 Her Excellency then signed the city’s golden book and met with the Mayor of Mons, Elio di Rupo. Her Excellency will take part in the National Remembrance Day Ceremony at the National War Memorial, in Ottawa. She will also host a luncheon at Rideau Hall to pay tribute to the 2018 National Silver Cross Mother, Ms. Anita Cenerini, who lost her son, Private Thomas Welch, on May 8, 2004. 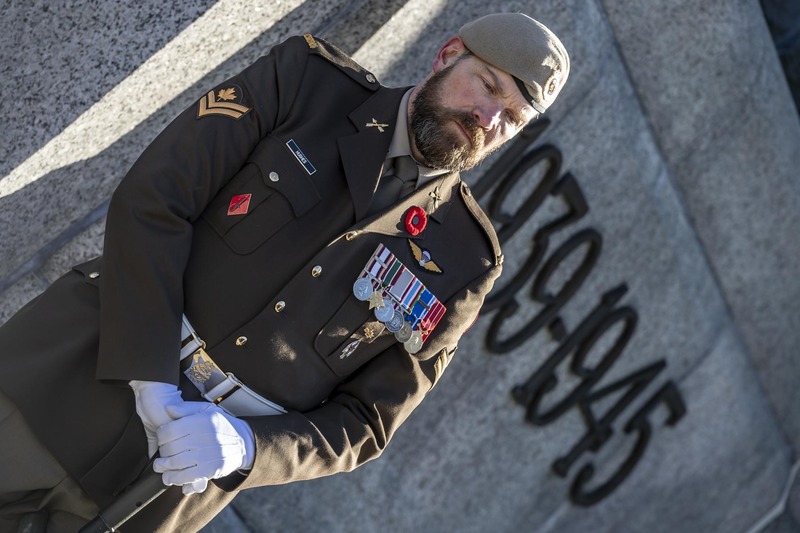 On November 11, 2018, Canadians came together at the National War Memorial in Ottawa to pay tribute to and remember all those who have served our country in uniform. 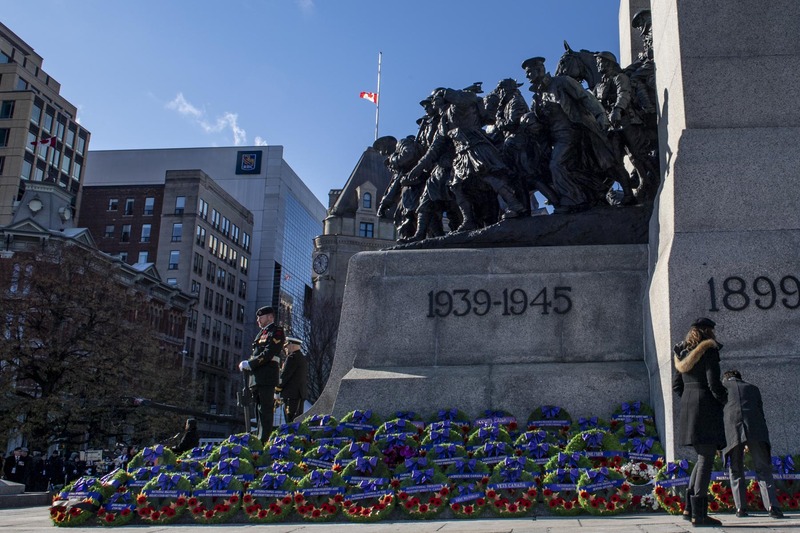 This year marked the hundredth anniversary of the Armistice, which brought an end to the First World War: a conflict from which Canada emerged with greater independence and a new standing among nations but at a terrible human cost. Music punctuated the ceremony. Notably, the piper’s Lament and the trumpeter’s Rouse provided moments of sombre reflection. 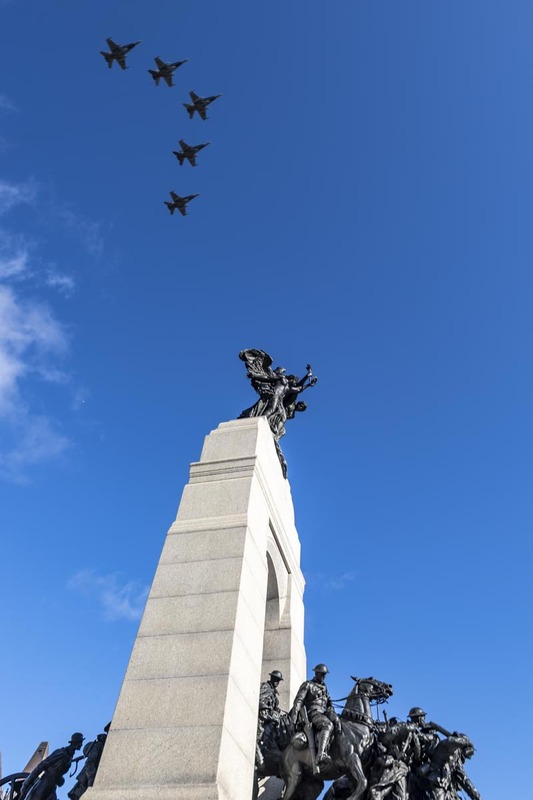 During the ceremony, a flypast was performed by CF-18 Hornets. 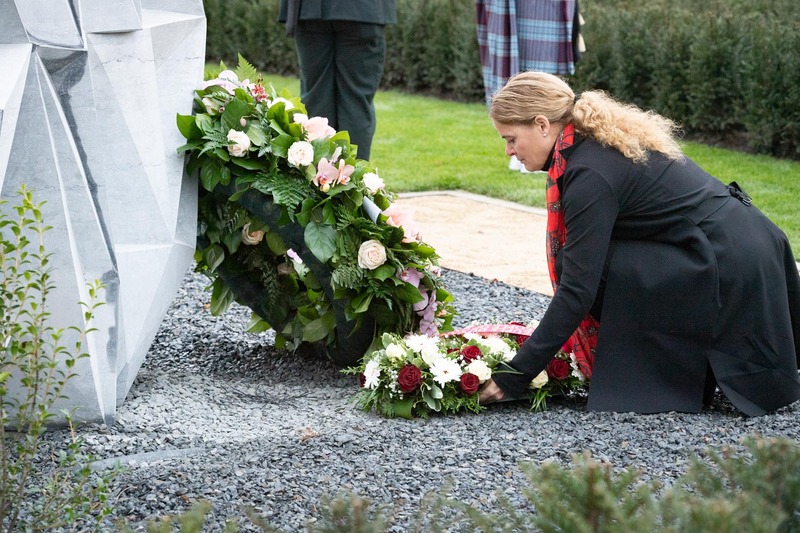 On behalf of the people of Canada, the Governor General lay a wreath, a symbol of remembrance. 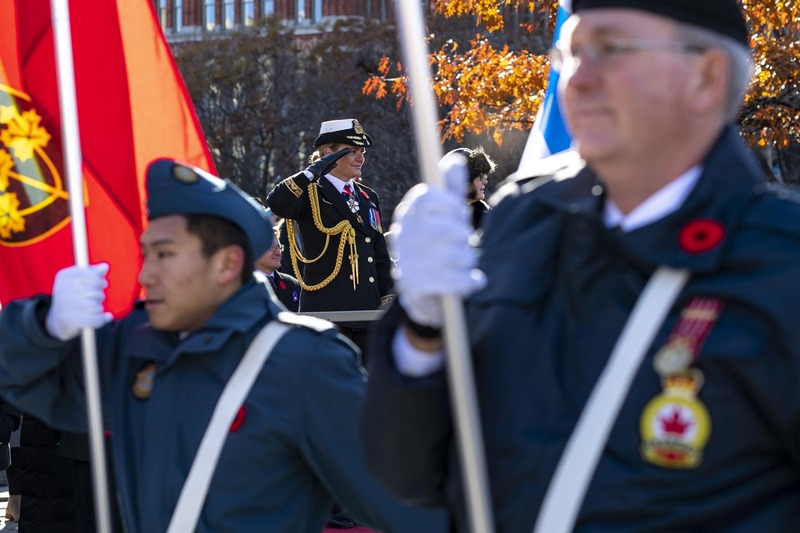 The Diplomatic Corps, special guests and representatives of veterans groups also had the opportunity to lay wreaths on the National War Memorial. 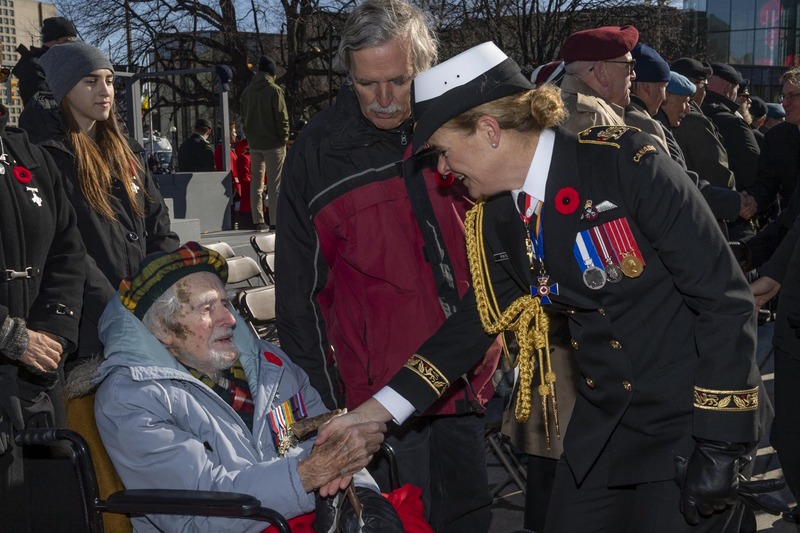 Her Excellency met with veterans and thanked them for their courage and sacrifice. 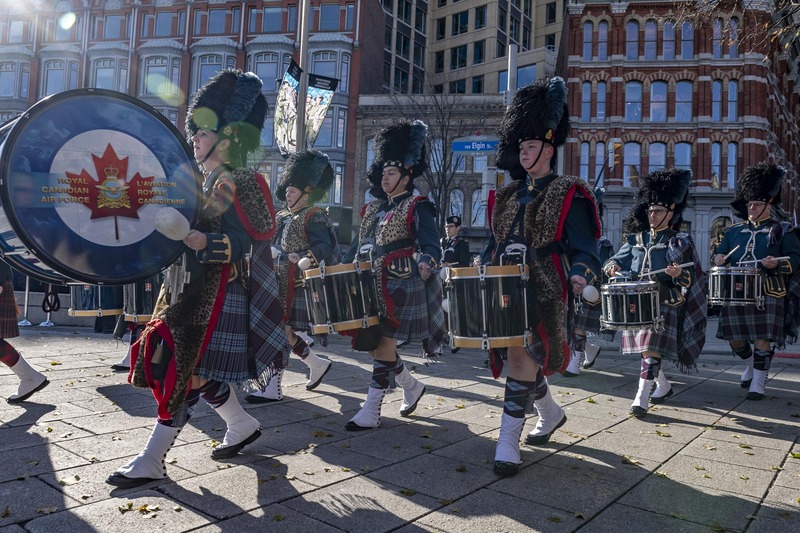 Ms. Anita Cenerini, National Memorial (Silver) Cross Mother, was joined by the Governor General for the march past, comprised of, amongst others, Massed Pipes and Drums, a Colour Party, and the Veterans’ contingent.